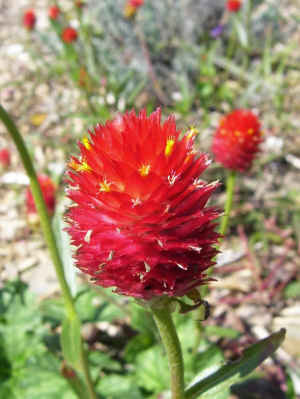 Bloom Time and Color: Red flowers from late spring to early fall. Description: Strawberry Fields is taller than many gomphrenas, between 2-3 feet. 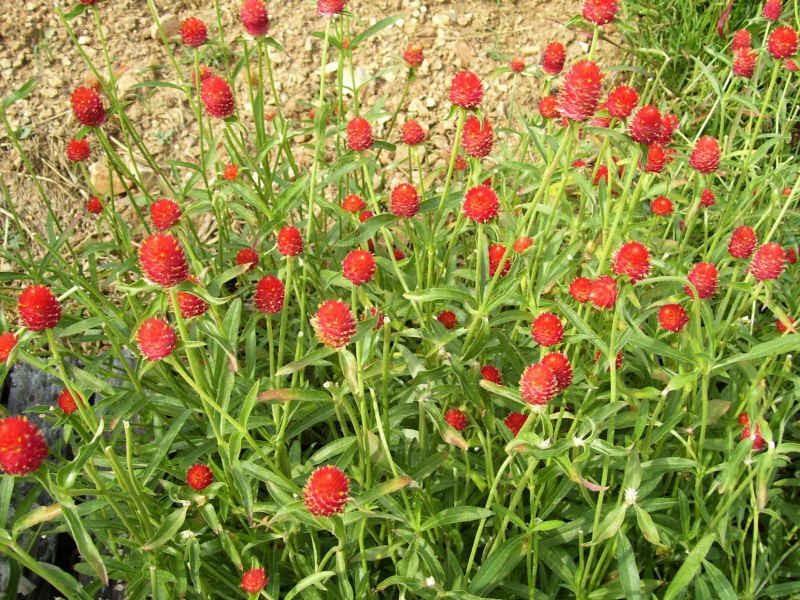 The clover-like, vivid red flowers will brighten up your garden and cut flower arrangements. It also makes an excellent dried flower. Heat and drought tolerant plant.